As a crew member in the yachting industry, you’ve likely seen your fair share of faulty wines. Storage conditions on yachts are often inappropriate or inadequate for wine. The dry, hot and moving environment may cause wine to mature faster and sometimes oxidise prematurely. Unfortunately, it doesn’t stop there. Wine faults extend beyond oxidation to cork taint, heat damage, sulphur problems and more. Here is a very brief introduction to shed some light on this highly technical subject. A “corked” wine is one that has been contaminated by the chemical trichloroanisole (TCA). TCA is naturally occurring and can be found in oak barrels, the cellar and the cork. When it’s a barrel or cellar problem, entire batches of wine can be contaminated. When it is the cork, single bottles will be affected. For the most part, TCA is a cork-related problem and has nothing to do with the way the wine is stored. As corked wine is the most commonly known defect, other defects are often misinterpreted as cork taint too. It is common to hear clients attribute several crossings as contributing to their wine being corked. This is not possible, as the TCA chemical is inherently present in the cork, or occasionally the barrel, and doesn’t appear due to inadequate storage. How to spot it: A corked wine will have lost most of its fruit aroma and will often smell of wet cardboard, damp earth, mouldy cellar and something reminiscent of a dirty swimming pool. Somewhere around 4% of all wine sealed with a cork is affected by TCA, so remember to check every bottle before serving! Another important thing to know is that you cannot tell merely by looking at the cork that a wine is corked; the cork might be wet and mouldy and the wine beautiful, or the cork in perfect condition and the wine spoiled by TCA. What to do: A corked wine is the responsibility of the producer. It doesn’t have anything to do with bad storage, the supplier or age. If you come across a corked bottle, save it and give it back to the supplier. They can then send the bottle back to the producer who will perform a chemical analysis and should supply a new bottle if TCA is found. Oxidation is a defect linked to a chemical breakdown in the wine due to excessive oxygen. 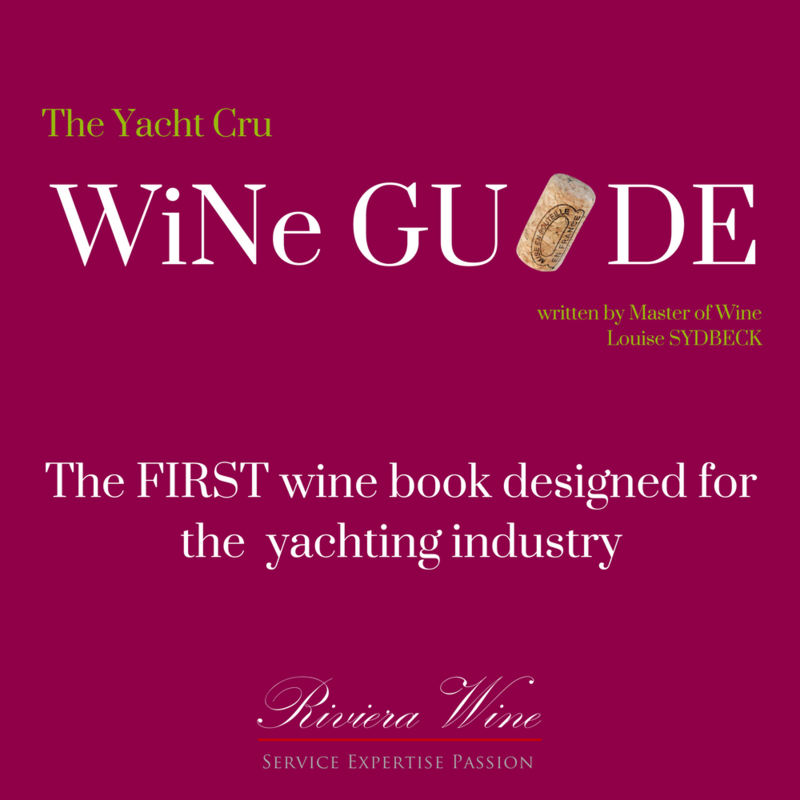 It is the second most widely spread problem in wine after cork taint, and is quite common in the yachting industry due to the lack of appropriate storage conditions, as warm temperatures speed up this process. Over time, all wine will become oxidised. Wines intended for youthful drinking, such as simple Provence Rosé and Pinot Grigio, will become oxidised within three to four years. Before this, the fresh fruit flavours will fade, and the wine will seem flat and less vibrant. Other wines, like top quality Bordeaux and Burgundy, can age for decades before becoming oxidised. However, it’s important to note that some wines are made in an oxidative style, and in such cases, oxidation is not a fault but rather a desired characteristic, adding to the complexity of the wine. How to spot it: An oxidised wine will lose its bright colour and fresh fruit aromatics. White wines turn darker, while reds will develop a brownish hue. The vibrant fruit aromas will give way to a flat and tired nose. White wines tend to smell like apple purée, and red wine like a bad or cooked Madeira. What to do: Unfortunately, there is nothing you can do here. If the wine has come directly from the shop and is young, you should contact the supplier. If the wine has spent a longer time on board, it’s likely that it has become oxidised due to storage conditions. This is a very technical topic, referred to in the wine trade as “reduction”. It is linked to sulphur dioxide (SO2), which is used as an additive in winemaking to prevent oxidation and bacterial spoilage. It often involves dissolved oxygen in the wine, known as redox potential. How to spot it: There are many different sulphur compounds, and they each have different smells. Some have pleasant aromas like passion fruit and pink grapefruit, which is not a problem. Others, however, smell of garlic, rotten eggs, rubber and burnt matches. A little of this can add to a wine’s complexity, but when too intense it is a wine fault. What to do: In some cases, airing the wine can help. Decanting it vigorously a few times in a pot before putting it in the decanter can give enough air to the wine to lose its unpleasant odours. Placing a copper coin in the decanter and moving it around may also remove the reduction problem, sometimes entirely. Copper is a catalyst for oxidation, which can counteract the reduction. A “cooked” wine is one that has been exposed to too much heat. Exposure for short periods may have very little effect on the wine, though longer exposure can cause considerable damage. How to spot it: The wine loses its freshness, starts to smell like canned, jammy fruit, and becomes quite flat. This may be combined with oxidation if the wine has been stored in hot and dry locations for a long time. You may be able to visually detect heat damage too: If a wine is exposed to too much heat, the cork may be slightly pushed out of the bottle. What to do: The same as for oxidation.